The biggest movie to come out of Kannada cinema, KGF has made a big dent at the box office across all versions. While it's been a record breaker at the Kannada box office, the Hindi version is making its presence felt in a slow and steady manner. The Yash starrer faced strong competition from Shah Rukh Khan starrer Zero and had opened on a low note earning Rs 2.10 crore. But, over the weekend, KGF started trending well while Zero started losing the grip at the box office. After holding very well and seeing good growth over the weekdays, KGF made Rs 2.40 crore on its day 7, which is higher than its opening day. The week one total of KGF now stands at Rs 21.45 crore. 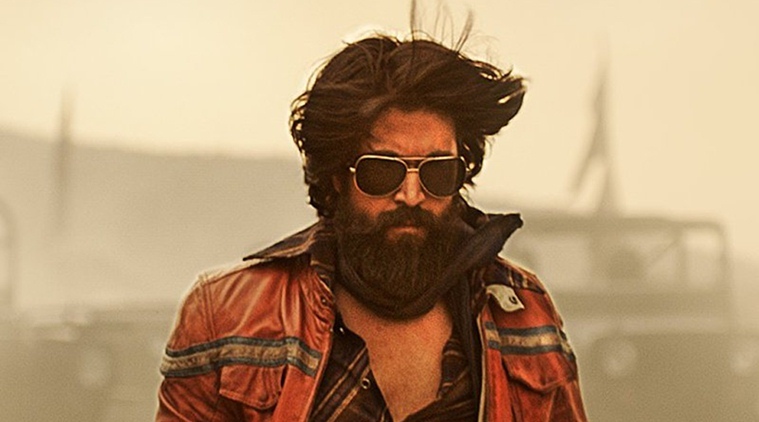 Talking about the box office collection of KGF, trade analyst Taran Adarsh tweeted, "#KGF consolidated and cemented its status with each passing day... Strong word of mouth has translated into BO numbers... Fri 2.10 cr, Sat 3 cr, Sun 4.10 cr, Mon 2.90 cr, Tue 4.35 cr, Wed 2.60 cr, Thu 2.40 cr. Total: ₹ 21.45 cr. India biz. Note: HINDI version." It'll be interesting to see how well KGF holds from today as Ranveer Singh starrer Simmba has hit the screens and both the films are mainly catering to the mass centres. Talking about its worldwide collection, the movie has already made more than Rs 115 crore globally and looking at audience acceptance, it is all set to go past Rs 150 crore mark.